This week MacSparky is sponsored by the latest release of TextExpander 6.5 for macOS and 2.0 for Windows and their new visual editor for snippets. The new editor make it easier to see and edit snippet Fill-ins, dates and date math, nested snippets, and more. TextExpander has always been powerful. With this update it gets even easier to use that power. Now you can nsert words, phrases, forms, templates, and more with just a couple key clicks—everywhere you type. Go download it today and take control of your time and productivity by letting TextExpander handle your repetitive typing tasks. Sign up with this link and get 20% off. While I generally prefer backpacks when carrying a lot of gear, over the past year, my load-out has got a lot smaller. The iPad Pro, with its relatively light weight, is as powerful as a MacBook Pro and I don't have a laptop anymore. Often I want to head out to Starbucks (or Disneyland) with an iPad and a few odds and ends. The gang at WaterField bags were kind enough to send me their new Sutter Tech Sling to try out for just this purpose. 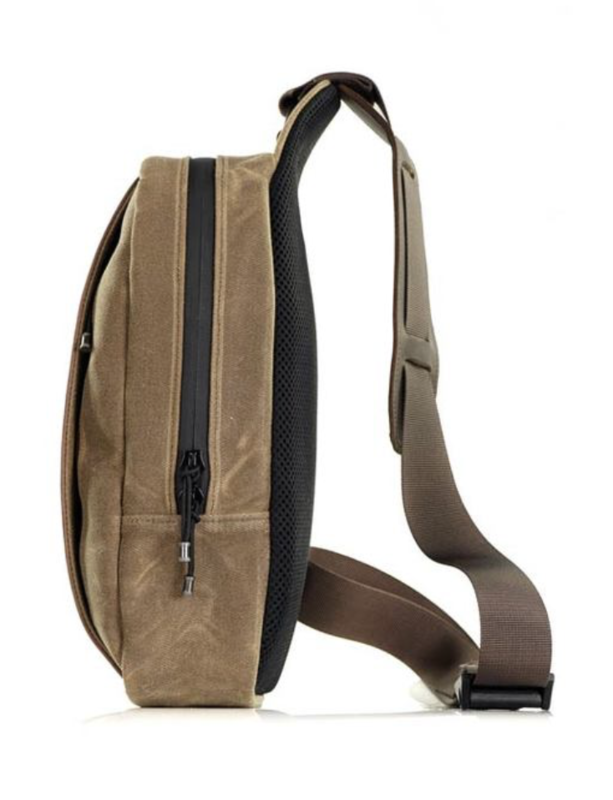 The Sutter Tech Sling is, as the name implies, a sling-style bag that can be adjusted to go over your left or right shoulder. It does this with a D-ring on the top of the bag and two separate mounting points at the bottom. On long days, it takes just seconds to move the strap and switch shoulders. Also related, the strap has a cam lock buckle that is easy to adjust while you are wearing the bag and there is a built-in shoulder pad to give you more comfort. 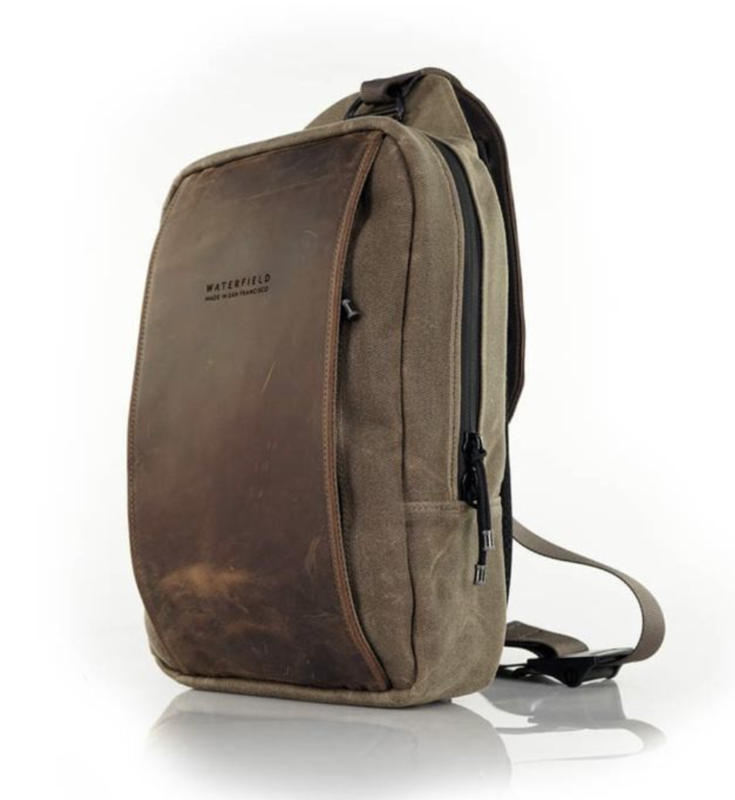 Like other Waterfield bags, the back of the bag has a mesh padding to keep your back from getting sweaty on a hot day. The Sutter Tech Sling comes in either brown waxed canvas and brown leather (my preference) or black ballistic nylon and black leather trim. There are two sizes: Standard (11.5" x 8" x 3" with 4.5 liters of volume) and Full (14" x 9.5" x 3" with 6.5 liters of volume). I have the Full size, which is required to carry a 12.9" iPad but even the Full-size Sutter Tech Sling is the smallest bag I've used in some time. The bag has a main compartment that contains a separate padded sections that I use for holding my iPad. There's also a front pocket compartment for holding incidentals. On longer outings I've got the bag stuffed with my iPad, external battery, a rolled up jacket, small umbrella, water bottle, paper notebook and pens (they sell a matching pen case), and the other bits I normally carry with no problem. The bag has side zippers on both left and right sides for the front pouch and long zippers that go to the side on its main compartment, so it is easy to slide the bag forward onto your stomach without taking it off and access your gear. I often use the Sutter Tech Sling while biking. Being able to access my sunglasses in this fashion is great. The thing I like about Waterfield bags most is the way they sweat the small stuff. The Sutter Tech Sling is no different in this regard. The clip on the key fob has a high tension spring, so I don't have to worry about losing my keys. The three pen holders are big enough to hold my larger pens (or Apple Pencil) but also tight enough to keep them from falling out in the bag. The aglets on the end of zipper pulls aren’t cheap plastic but metal barrels that look like tiny lightsaber hilts. The interior is lined with gold fabric, making it easier to find stuff in the bag. The zippers are inset and waterproof. We’ve (thankfully) had a lot of rain in southern California this winter and I've been riding my bike in the rain with this bag a lot. At no point did I see any evidence of water getting inside the bag. My well-loved Sutter Tech Sling. Click to enlarge. Here’s my Sutter Tech Sling after two months of abuse through rain and sun. If anything, it looks even better now than it did when it was new. The Sutter Tech Sling has become my go-to bag. I love the compact size and the easy carry over either shoulder. Because I can switch shoulders, I am able to carry this bag with a full load through a whole day. I’ve received numerous compliments on the bag from strangers, and I’m not surprised. It's a great looking and highly functional bag. If you are looking for a sling, this is the one. Two Price Points: $159 and $199. If you want a Qi charging case, it will cost you an extra $40. New Chip: H1 replaces the W1. It connects faster, has less latency, and gives more phone talk time. 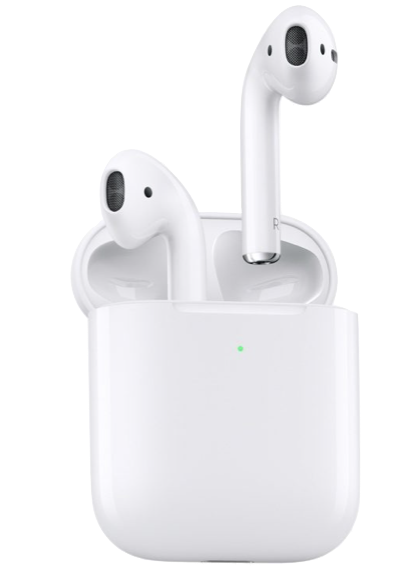 I never noticed any problem with connection speed or latency with the G1 AirPods. I will, however, gladly take more talk time. I want all the talk time. No sharing. “Hey Siri” Support: No more tapping your ear, assuming this features delivers as promised. I ordered a pair immediately. I spend a lot of time on the phone and I’ve had my G1 AirPods in daily use since I first bought them. I use them so much that I killed the battery in the right one and now the left one is acting up. I don’t feel bad about buying the product twice. I don’t see that I really have any choice until battery technologies improve. Mike and I continue to explore the topic of intentionality and the role it has in every area of your life on the latest episode of Focused. Also, we catch up on some listener feedback, I get ready for a (hopefully) productive work trip, Mike answers my questions about Masterminds, and we discuss the importance of space and margin in living the life you want to live. I'm pleased to see the iPad mini returning with updated hardware. Pencil support on the iPad mini makes so much sense to me. I would have been disappointed if they hadn't included pencil support. A 10.5 inch, lower cost iPad Air makes a lot of sense. I've given my old 10.5 inch iPad Pro to my daughter, and she's been using that, along with my old iMac, to get through college. She reports she's not alone in that. The small bump from 9.7 to 10.5 inches makes a significant difference, particularly if you want to attach the Smart Keyboard. Overall, I feel like Apple now has something of quality at every reasonable price point for anyone that wants an iPad. In that regard, the whole iPad line seems better positioned than the MacBooks. While I get that an Apple Pencil 2 needs a flat surface to attach and charge, I sure wish they found a way to use the new pencil with these new iPads. Having used both old and new Apple Pencils, there is no question in my mind that Apple Pencil 2 is superior in every way. There is nothing particularly innovative with the new iMacs. They are, in large part, speed bumps, but they are nice speed bumps. The iMac definitely got better today. I'm still confused about inflection point between high-end iMac and low-end iMac Pro. Jason Snell did an excellent interview with Apple's iMac Product manager about the new devices. In it Jason asked the question most on my mind, why are they still shipping with spinning disks in 2019? The answer wasn't clear, but it seems they want to hit a price point and that's just the way it is. I'm trying to decide if that is a cop out or I'm just an entitled nerd that thinks nobody should have to deal with spinning drives at this point. The jury is still out. Part of the reason for my thoughts on SSD is that, in my heart, I’d hoped the next generation iMac would be designed, thermally, like the iMac Pro. I believe it to be a superior design, even with the lower speed iMac hardware. Maybe next time. No T2 processor in the new iMac. Now the Mac mini has one and the (non-pro) iMac does not. There are also some options tweaks to the iMac Pro. The fact that they are dropping all these hardware announcements this week makes me believe next week's big event is going to be all about Apple's new streaming service. The service is the worst kept secret at Apple in recent memory, and I expect it will be an Apple event unlike anything you've ever seen before with a lot more talk of movie stars than terabytes. I've written before about the challenges I think Apple faces on this. I'm eager to see what their plan is. Given the above point, I would not be surprised to see updated AirPods announced in the next few days. When thinking about replacing your notebook with an iPad, there are a lot of factors to consider. On this week’s episode of Mac Power Users, Stephen and I talk through the hardware and software that can make — or break — this experience. In the latest episode of Automators, Rose and I dive into the recent and upcoming updates to Shortcuts. Then we nerd out on weather and notes, and talk about our love for the dictionary updates. 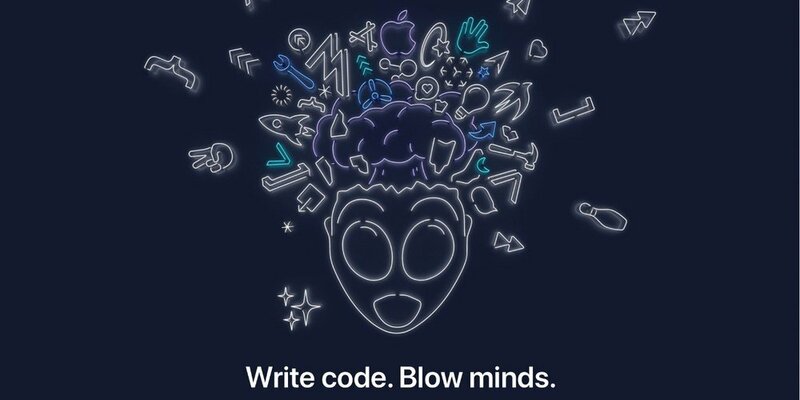 WWDC is in June. Who Should Attend? Today Apple announced the Worldwide Developer Conference for the first week of June, again returning to San Jose. WWDC is where Apple unveils the latest iterations of its operating systems (and I often fall headfirst down the . That’s going to be interesting this year because so many of us are getting surly about the lack of substantial iPad updates. It is also widely expected that we’ll learn something about the new Mac Pro at the event. I’m often asked by friends whether or not they should head to San Jose for WWDC. If you are a developer, there is a lot for you from both Apple and AltConf. For everyone else, however, it depends. For the week of WWDC, the business of Apple takes over a portion of downtown San Jose. There are a lot of people there, most of whom I only see at WWDC and yet I work with regularly. I also am legal counsel for several developers, and WWDC is the one time a year I get to spend significant time with those people in person. Still, WWDC is not Macworld. Macworld was a special place. It was about users, not the business of Apple. I wouldn’t recommend going to WWDC if you are looking for the Macworld experience. The nearest thing we have to Macworld now is MacStock. Wake up everyday to find that the SaneBox robots have automatically sorted your incoming email for you so you can address the important and ignore the irrelevant. Defer email for hours, days, or weeks so it is out of your life until a more appropriate time. Set secret reminders so if someone doesn’t reply to an important email, SaneBox gives you a nudge to follow up. Automatically save attachments to the cloud (like Dropbox). Use their SaneForward service to automatically send appropriate emails to services such as Evernote, Expensify, and Kayak. Move unwanted email to the SaneBlackHole and never see anything from that person again. To me, getting the SaneBox account was the inflection point between when email controlled me and I started controlling email. If you are still on the other side of that equation, it’s time you joined us and stop letting email make you crazy. I’ve been a paying subscriber for years and can’t imagine getting by without it. If you sign up with this link, you even get a discount off your subscription. 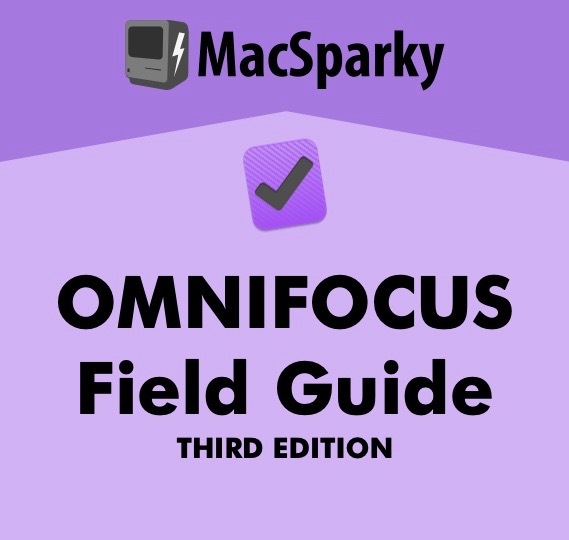 I've been thrilled with all the nice tweets, emails, and messages and the generally warm reception for the Siri Shortcuts Field Guide. I love seeing tweets and emails from customers that are now automating their iPhones and iPads. Siri Shortcuts turns out to be one of those rare Apple products that gets frequent updates. Since I first launched the Siri Shortcuts Field Guide, Apple has added several new features. So I've been hard at work in the Screencasting cave adding new content. With this post, I'm pleased to announce the release of the Siri Shortcuts Field Guide, version 1.1. The new version adds 17 new videos and 50 minutes of content bringing the course size to over 4 hours. New content includes additional features (like weather and conversions) and also goes deeper on both beginner and advanced topics. The new version also features combined downloads so if you want to download everything, it's ten big video files instead of 57 little ones. There is nothing for you to do but log in and check out the new content. It's a free update. Now's the time. Go to this link and use the promotion code "SIRIBLOG".That gets you $10 off, but it is only good for a week. 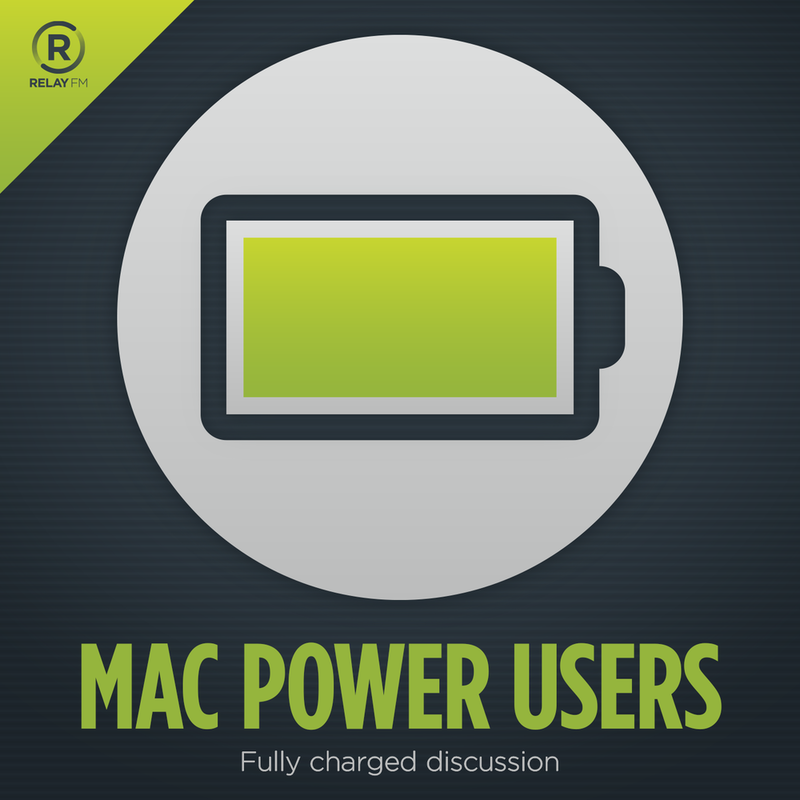 Shawn Blanc returns on this week’s episode of Mac Power Users to talk about his move to the iPad Pro and how he manages the growing team behind projects such as the Sweet Setup and the Focus Course. This week I was a guest on the Friends in Your Ears podcast. Anže Tomić and I joined Kathy Campbell to talk about some of our favorite podcasts and how we got into this racket. It's a short show but a lot of fun and worth checking out. Last week I guested on the Outpost Show where I talked (and whined) a bit about the state of iPad software. I complain … because I love. Wired recently published an article about the discovery of a database containing 809 million total records exposed online. The MongoDB (freely available to hackers for some time now) contains 150 gigabytes of plain-text marketing data, including 763 unique email addresses. These days it seems I get nearly as much phishing email as regular email. Setting aside the discussion of email being unproductive, at what point does the medium fail just because we stop believing any email we receive is legitimate? I'm already getting that way with nearly all of my vendors. Going to be hard to beat this one. This week MacSparky is sponsored by HoudahGeo, the Mac application that simplifies adding geolocation data to your photos. A lot of us have fancy cameras that, unlike the iPhone, don’t automatically add geolocation data to every photo. The thing is, I like having location data attached to my photos so I can look at all the pictures I took in Chicago or Hawaii, even those taken with the fancy camera. HoudahGeo solves that problem. HoudahGeo can add locations to photos, whether they’re in a folder on your Mac or right in the photo library, making it Apple Photos compatible. HoudahGeo is used by travelers and professionals alike. Some use location information to organize and find photos. Others need to add GPS coordinates to photo to assess roadwork damages, to record wildlife sightings or to document environmental damages, or even document the location of a really great looking tree. There is a cool blog entry where the developer used HoudahGeo to track an 8-day hike up Mount Kilimanjaro, which explains exactly how they used the app. Using HoudahGeo you can attach location data to photos with or without a geolocation log. Using HoudahGeo, I'm quickly able to add location data to all of my photos. Moreover, this week you can get a discount using the links in this post. * Caveat: iCloud Photos does not re-upload modified image files. Location information added to the library gets synched through iCloud. Geotagged image files are uploaded to iCloud only if the tags were added before iCloud Photos got to uploading the files. Thus users of iCloud Photos should geotag their photos before adding them to the Photos library. For this purpose, you can use HoudahGeo instead of the Photos app to download photos from your camera. Download, geotag, add to the Photos library, and let iCloud Photos do its job. On this week’s episode of Focused, Mike and I talk about getting intentional and getting productive with an unproductive boss. Finally, we cover productive Italians. Timing: The automatic time-tracking app for macOS. Use this link to save 10% on your purchase. Months ago I backed a silly Kickstarter that involved creating pillows looking like classic Apple products. Last week the pillows showed up and we’ve been having fun with them at the house. When nerd friends come over, they immediately recognize my classic Mac and Finder icon. Note they must have not got rights from Apple, so instead of the rainbow Mac logo, we just got a rainbow square. Also, the Mac has a handle (sort of). A friend told me the the Finder pillow resembles me. I often get mistaken for the Finder. The latest Automators is up. This episode includes guest John Siracusa, who has a few thoughts on the best languages for automation. John also explains how, as a web developer, he incorporates automation into his professional workflows.